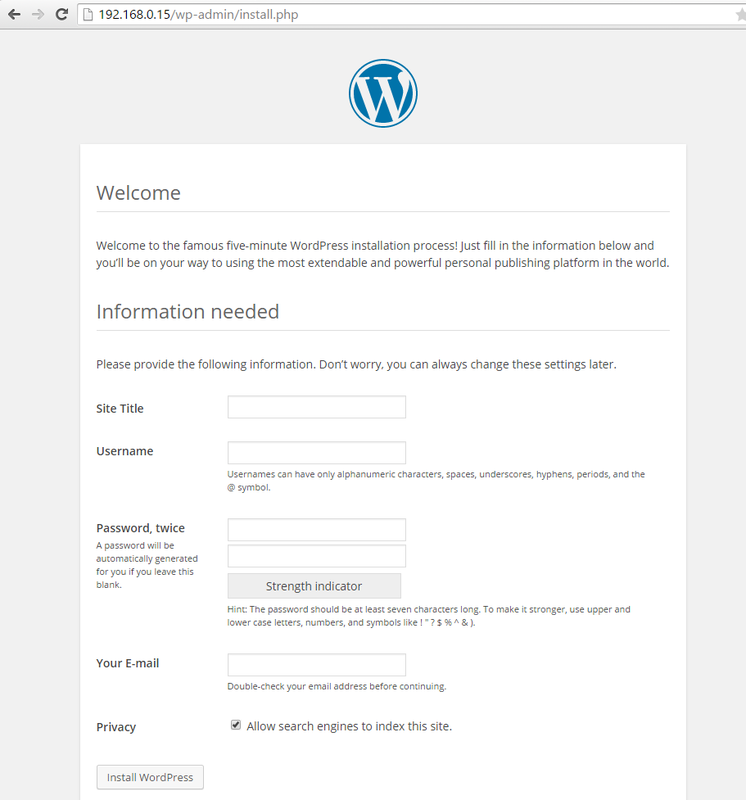 This how-to will show you how to install WordPress on Fedora 22. WordPress started as a blogging system, but now has become a full content management system (CMS). It is a free, open source program, which has become the most popular CMS on the Web. With thousands of plugins, your website is nearly limitless. – A Fedora 22 server running LAMP or LEMP is required. Please see our how-tos for Fedora 22 LAMP or LEMP. When prompted, enter your MariaDB root password that you set up when installing MariaDB. The commands above creates a database called wordpress, a dbuser named wordpressuser with a password [insert-password-here]. You can modify these settings to your liking. Next we need to edit wordpress/wp-config.php. In this how-to we will be using the text editor nano. Please be careful when updating this file. We now need to move the config files to the web directory. We now can go to the web installation by going to http://yourhostname-or-ipaddress in your browser. In the above example, we would put http://192.68.0.15/ in the browser address bar and get the following page. The next step is to follow the web installation by submitting your information. Congratulations you have installed WordPress on Fedora 22, please check back for more updates. For more information, you may want to check out the WordPress Codex.